One Crow has polled votes following Adelaide’s disappointing loss to North Melbourne as the Round Four votes were handed out for the AFLCA Champion Player of the Year Award. 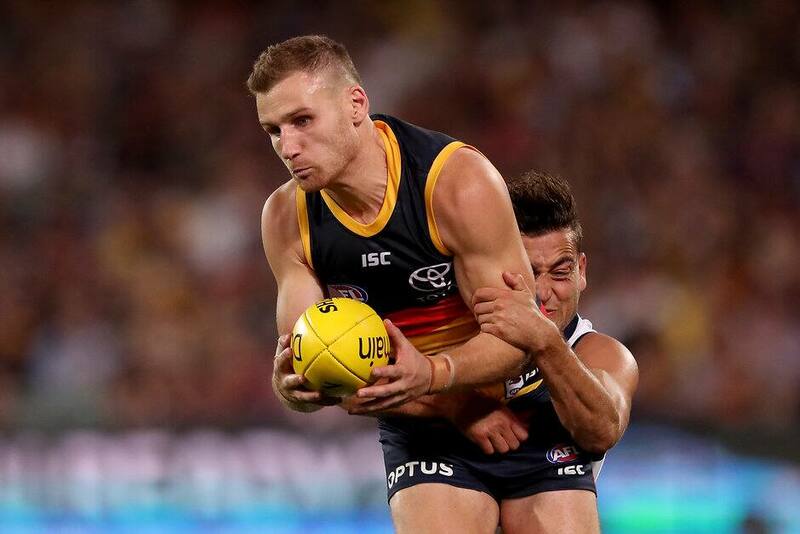 Half-back Rory Laird earned one vote in a hard-fought performance, in which was on-field for 93 per cent of the game and collected a team-high 31 touches. The two-time All Australian finished with 23 uncontested possessions, nine marks and seven rebound-50s and was one of the most effective players on the day. Don Pyke and North Melbourne coach Brad Scott awarded nine votes to Shaun Higgins, while North’s Jed Anderson (seven), Todd Goldstein (five), Ben Brown (four), Jasper Pittard (three) and Jared Polec (one) also received votes. Each round, coaches select their best five players and give them a score from one to five - the maximum score a player can receive in a round is 10, five from each coach. The player with the most votes at the end of the season is the Shadforth AFLCA Champion Player of the Year.